Ready or not, Davaoeno street artists will be hosting an event that features open-air studio before a live audience! 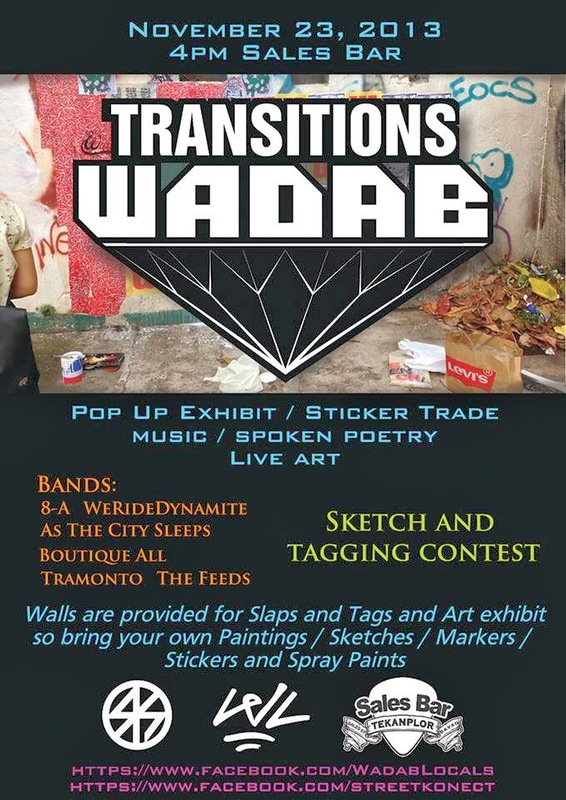 There will be sticker trade, band performances, video documentaries and spoken poetry. Or maybe you are interested, you can bring 1-2 artworks for the pop-up exhibition. In aiming to showcase talent in our local community, join us on the 23rd of November at Saless Bar. No door charge.